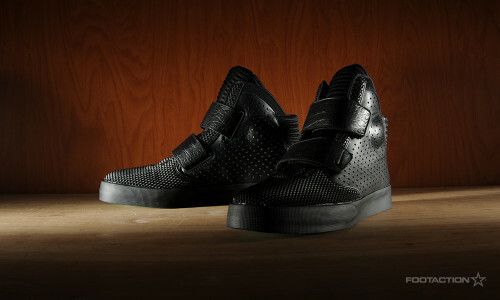 The Nike Flystepper 2K3 Blackout takes an already futuristic-feeling silhouette and advances that feeling even more. Given the all-black treatment with a glowing green outsole, upon first glance it’s already an intriguing sneaker. Upon further inspection, the various textures on the toe, tongue, straps and side paneling continue to score points for its level of freshness. Top to bottom, it’s a well-considered sneaker for you to wear all year-round. Print article This entry was posted by hhcblog on November 6, 2014 at 6:34 pm, and is filed under Footwear. Follow any responses to this post through RSS 2.0. You can leave a response or trackback from your own site.